MSDL group of companies is involved in the projects related to field development on continental shelf of the Russian Federation in the Caspian Sea. 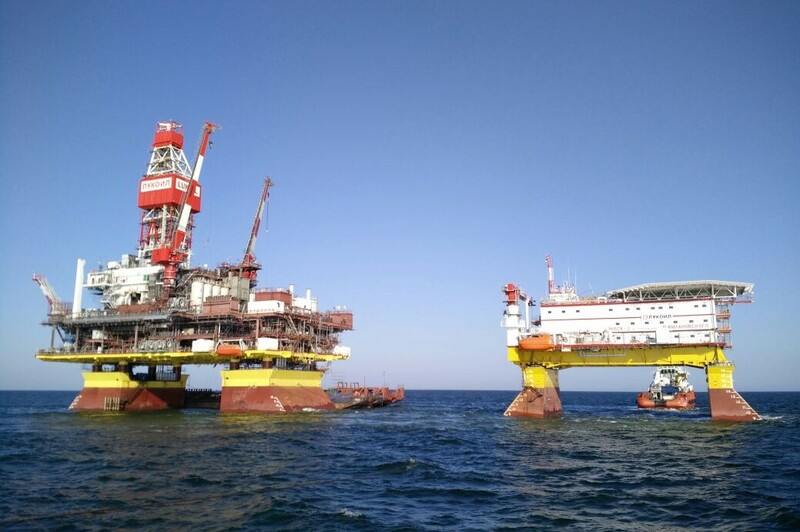 Caspian Hydra Technologies LLC, a part of MSDL Group of Companies, has successfully completed installation of all objects of V. Filanovsky field development, second stage. The last was the mounting of crossover bridge. Bridge 60 m long and weighting 100 tons has been installed between LSP-2 and LQP-2. Installation has been executed with a use of crane on pipelaying barge Armada Installer. Works have been performed according to contractual schedule. During marine campaigns of 2016-2017 Caspian Hydra Technologies LLC has gained a unique experience in designing, planning and execution of marine operations using almost all large-tonnage technical facilities available in the Caspian Sea: transportation and installation barge “Yuri Kuvykin”, floating crane “Bogatyr-3”, crane vessel “Gurban Abbasov”, pipelaying barge Armada Installer and more than 15 vessels of auxiliary spread. 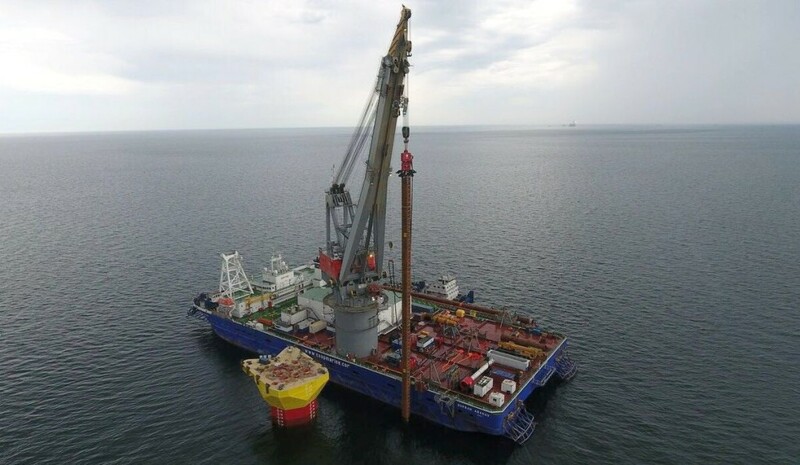 Activities performed within a scope of marine operations: installation of LSP-2 and LQP-2 substructures, pile foundation of 32 piles, installation of topside structures weighting 7150 and 1350 tons using floatover method. All works have been performed in required quality, at high level security and in accordance with contractual schedule. Caspian Hydra Technologies LLC, a part of MSDL Group of Companies, has successfully completed installation of LQP-2 topside structure at V. Filanovsky field. 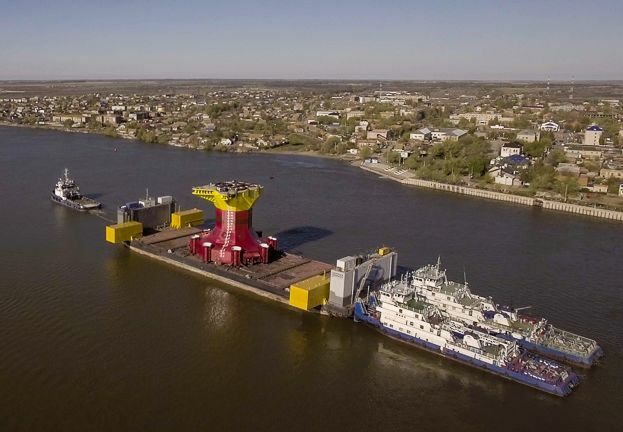 The works are performed under the Contract No 15V0495 dated 15.07.2015 with “LUKOIL-Nizhnevolzhskneft” LLC for execution of marine operations on transportation and offshore installation of objects at V. Filanovskiy field (Second stage). 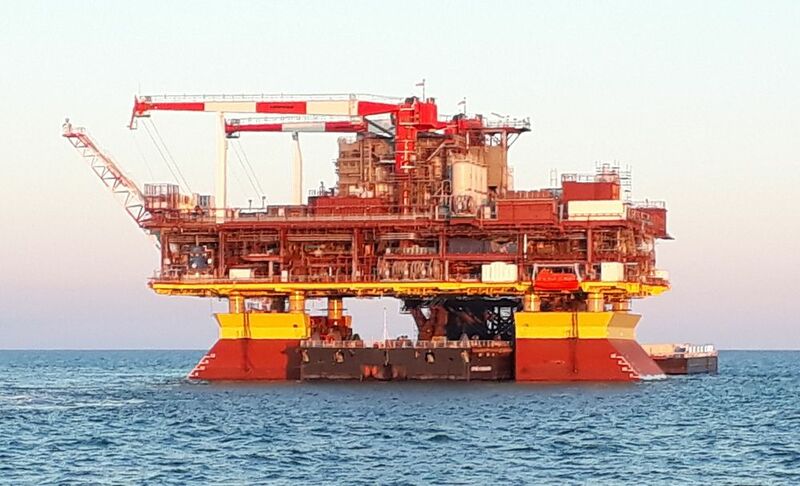 Operations on installation of LQP-2 have been performed by floatover method – craneless installation with the use of transportation barge that was led between substructures and ballasted down for topside structure transfer. LQP-2 topside structure weighting about 1350 tons has been installed to design position. Works have been performed according to contractual schedule. 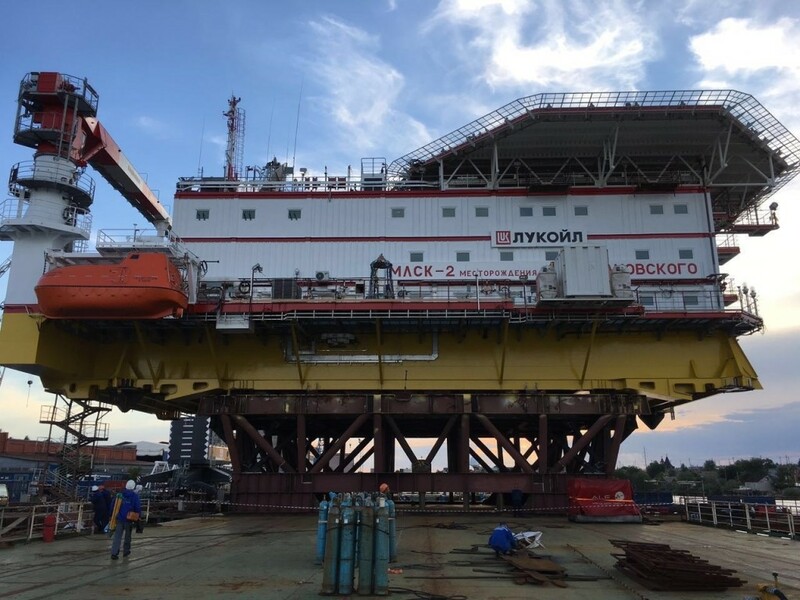 Caspian Hydra Technologies LLC is the only Russian company that has an experience in marine operations execution by floatover method; earlier, in April 2017, LSP-2 topside structure weighing 7150 tons was installed. 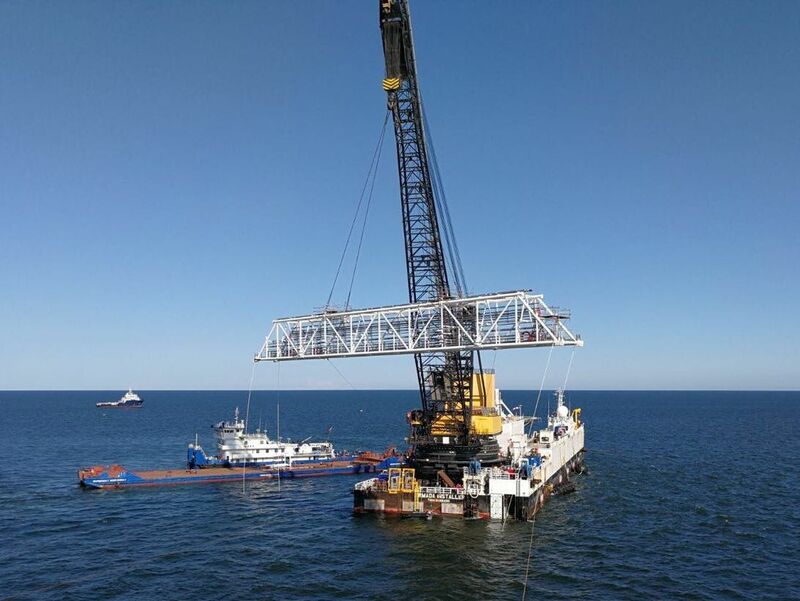 Caspian Hydra Technologies LLC, a part of MSDL Group of Companies has started transportation of LQP-2 Topside structure of V. Filanovsky field. These works are performed under the Contract No. 15V0495 dated 15.07.2015 with “LUKOIL-Nizhnevolzhskneft” LLC for execution of Marine Operations on transportation and offshore installation of objects at V. Filanovskiy field (second stage). 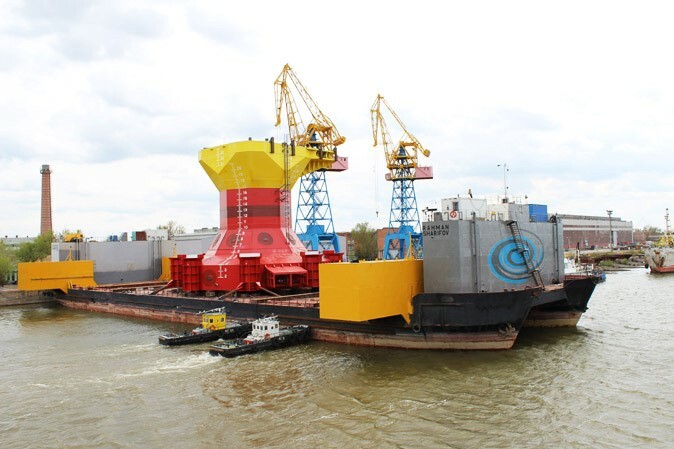 Transportation of LQP-2 Topside structure weighting about 1660 tons including mounting frame to the place of installation at the Caspian Sea is executed by transportation and installation barge “Yuri Kuvykin”, head tug and two push tugs. Marine Operations on transportation and offshore installation of LQP-2 Topside structure are performed in accordance with contractual schedule. 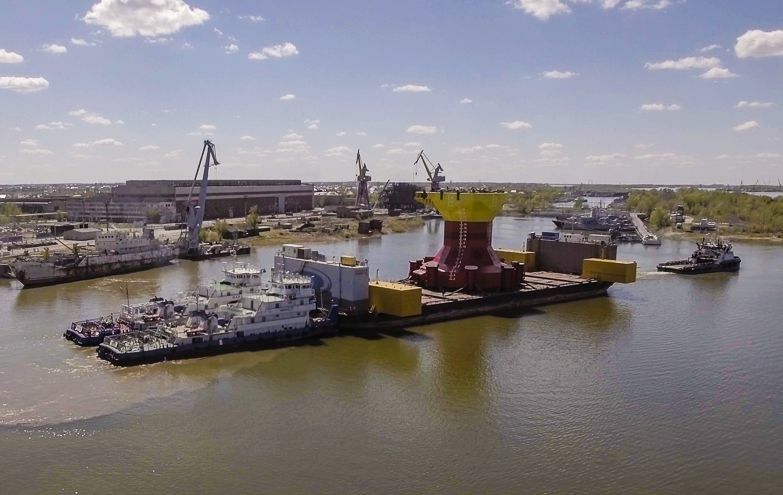 Caspian Hydra Technologies LLC, a part of MSDL Group of Companies, has successfully completed construction and loading of LQP-2 topside on transportation and installation barge “Yu. Kuvykin” at V. Filanovsky field. The works are performed under the Contract No 15V1000 dated 14.01.2016 with “LUKOIL-Nizhnevolzhskneft” LLC for development of working documentation, procurement of materials and equipment, performance of construction and installation works on topside and crossover bridge of LQP-2-IFP-2 and commissioning of LQP-2 of V. Filanovsky field. Loading of topside weighting 1660 tons with mounting frame has been performed by skidding method onto barge using system of standjacks and skidbeams. Construction of LQP-2 topside and first stage of preparation to marine operations have been successfully completed according to the contractual schedule. 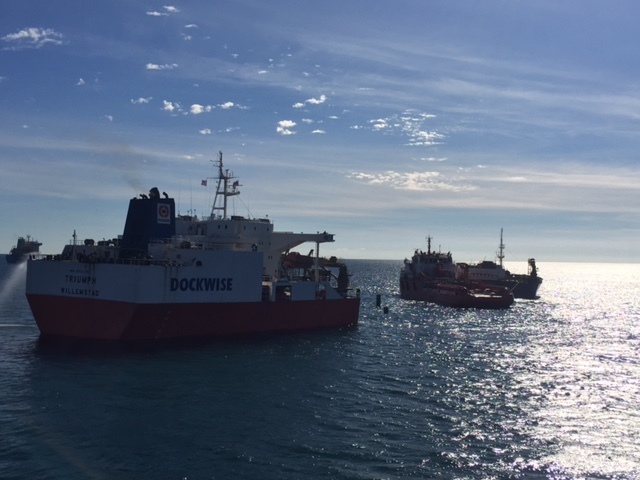 Transportation will start after installation of sea-fastenings and issue of tow certificate. 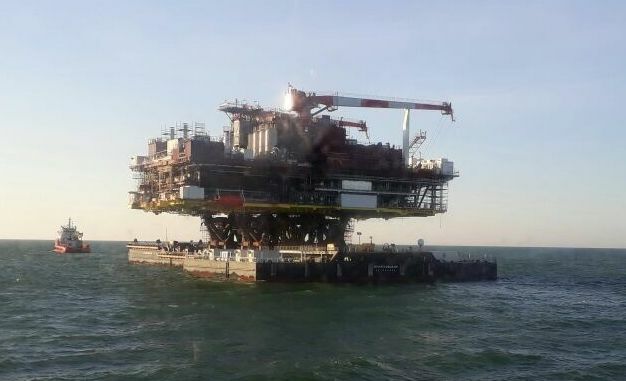 Caspian Hydra Technologies LLC, a part of MSDL Group of Companies, has successfully completed pile foundation of Satellite Platform Substructure for Yu. Korchagin field in the Caspian Sea. Works are performed under the Contract No. 16V1001 dated 12.11.2016 with “LUKOIL-Nizhnevolzhskneft” LLC for execution of marine operations on transportation and offshore installation of SP Substructure of Yu. Korchagin field (second stage of construction). Driving of 8 piles 72m in length and weighting about 150 tons each was performed by using of the floating crane “Gurban Abbasov”. It allowed to drive full length piles without their extension at sea. Pile driving equipment of ThyssenKrupp (Germany) and IHC (Germany) was applied for work execution. Swaging to pile guides of Substructure was performed by Hydra-Lok technology of Oil States Industries company (Great Britain). Works have been performed according to the schedule with the achievement of project depth and pile carrying capacity. 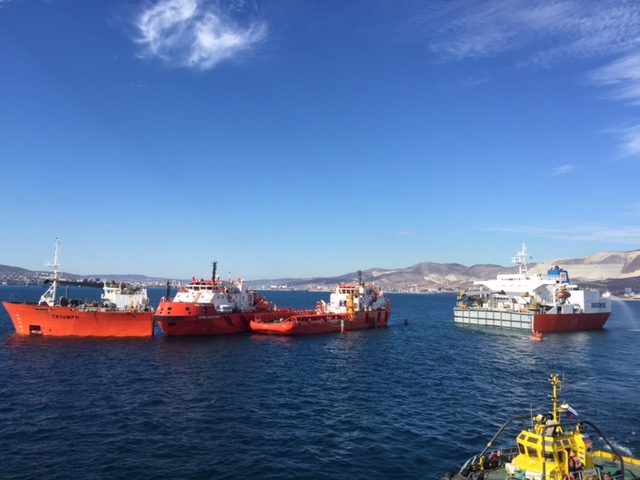 Caspian Hydra Technologies LLC, a part of MSDL Group of Companies has successfully completed installation of Satellite Platform Substructure for Yu. Korchagin field in the Caspian Sea. These works are performed under the Contract No. 16V1001 dated 12.11.2016 with “LUKOIL-Nizhnevolzhskneft” LLC for execution of marine operations on transportation and offshore installation of SP Substructure of Yu. Korchagin field (second stage of construction). Towage of SP Substructure weighing about 2400t has been performed on the transportation pontoon, installation – by floating crane “Volgar”. Substructure has been installed at a depth of about 12 meters in project parameters of surface level and angular coordinates. 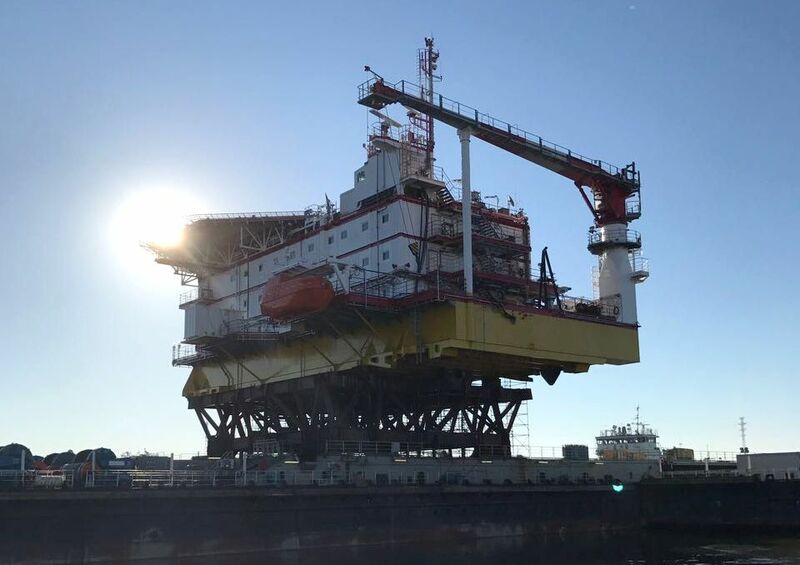 “Caspian Hydra Technologies” LLC, a part of MORSHELF Group of Companies, has performed installation of Ice-resistant fixed offshore platform (IFP-2) Topside onto Substructure within the Second stage of development of V. Filanovskiy field. The works are executed under the Contract No 15V0495 dated 15.07.2015 with “LUKOIL-Nizhnevolzhskneft” for execution of Marine Operations on transportation and offshore installation of objects at V. Filanovskiy field (Second stage). 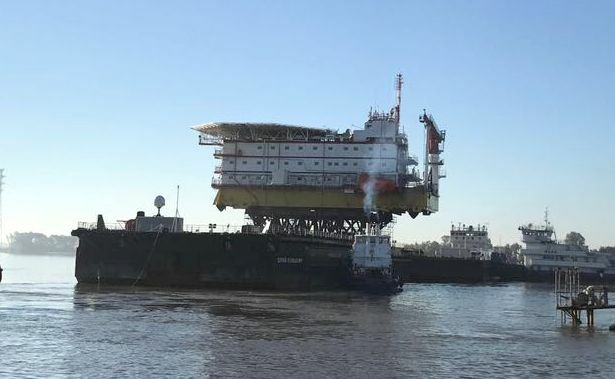 IFP-2 Topside has been installed by float-over method – crane-free installation of platform’s Topside by means of transportation barge, which is moored directly along the Substructures or in the slot between them. 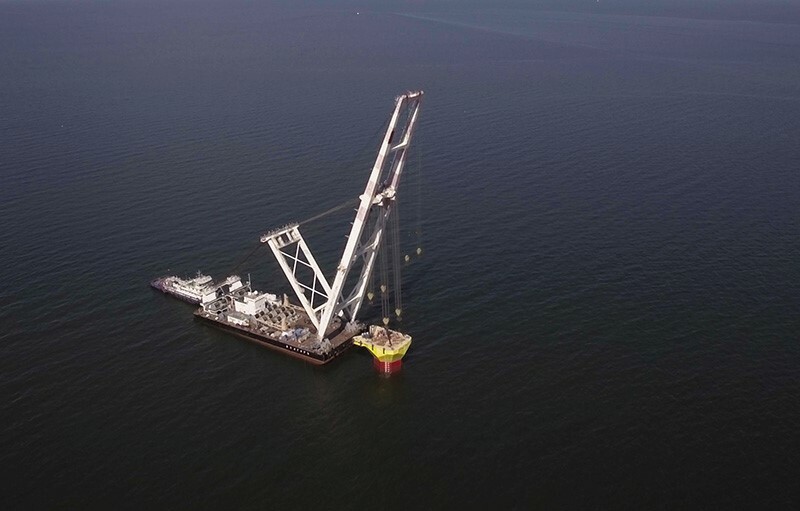 This is the first time when float-over installation has been performed by a Russian company, previously such operations were executed only by foreign Contractors. 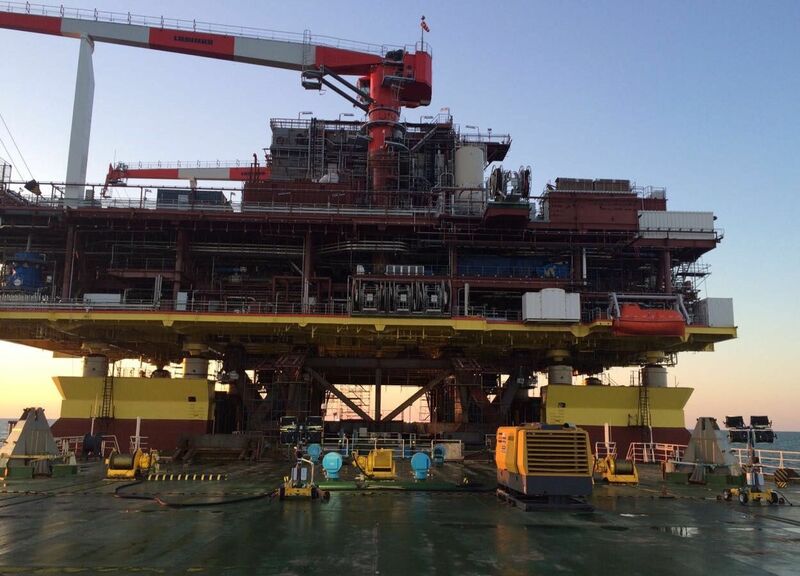 Weight of IFP-2 Topside is 7150t, 11 vessels were engaged for transportation and installation of the platform. Installation of IFP-2 Topside has been successfully executed within the contractual schedule. Moreover, the Marine Operations were performed in the very beginning of the navigation season (in April) during extremely difficult navigation conditions. 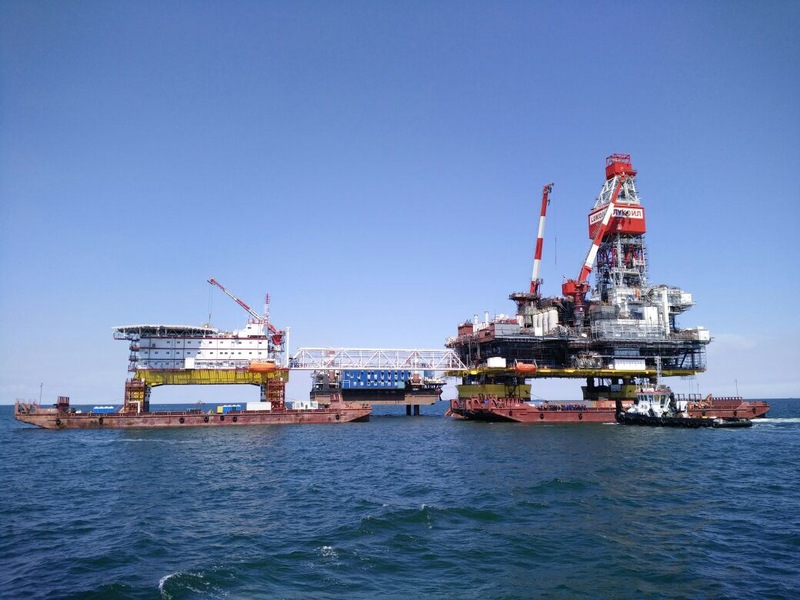 “Caspian Hydra Technologies” LLC, a part of MORSHELF Group of Companies, has successfully completed construction of Block-Conductor Substructure for Korchagin field and commenced its transportation to the Caspian Sea. The works are executed under the Contract No 15V0999 dated 01.02.2016 with “LUKOIL-Nizhnevolzhskneft” LLC, for development of working documentation, procurement of materials and equipment, construction and commissioning of Block-conductor (ice-resistant fixed offshore platform) within the Second stage of construction of Yu. Korchagin field. Towage of BC Substructure weighing about 2400t is being performed on the transportation pontoon “Rakhman Sharifov” with support of pusher-tugs. Meanwhile construction of BC Topside is in progress. Construction of BC Substructure has been completed within contractual schedule. OSV’s Bumi Uray, Bumi Pokachi and Bumi Naryan-Mar have been offloaded from Dockwise transportation barge in the port of Novorossiisk. 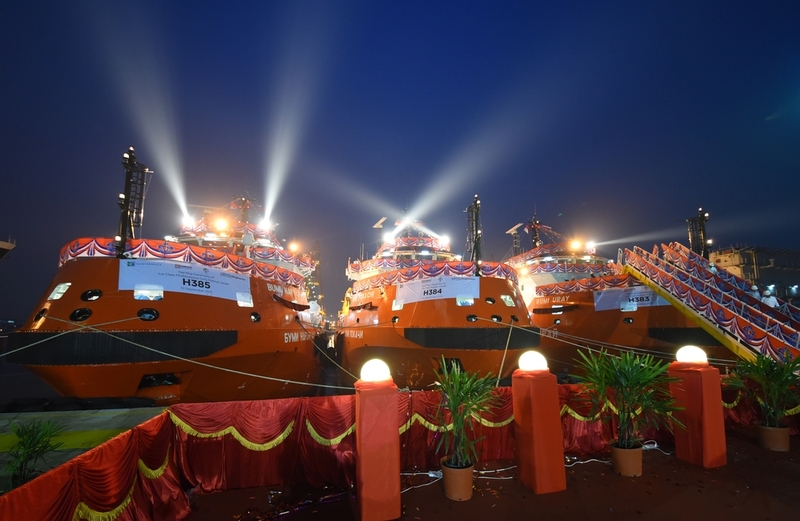 On the 10th September 2015 we celebrated naming ceremony for Bumi Uray and Bumi Pokachi Supply vessels and Bumi Naryan-Mar multipurpose duty rescue vessel.